The polish city of Krakow hosting the 2017 World Heritage Committee session on Sunday, 17 July 2016 awarded Antequera, Malaga with the title of World Heritage site. 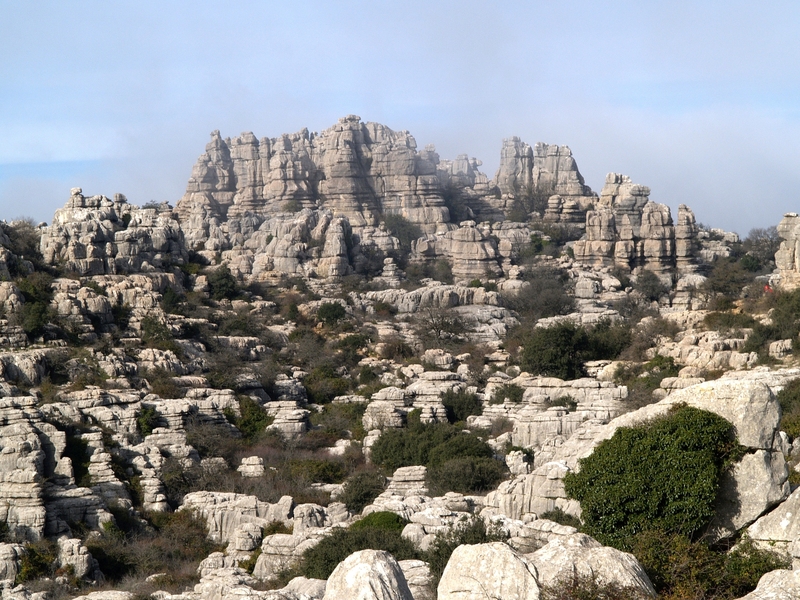 The site comprises of three megalithic monuments: the Menga and Viera dolmens and the Tholos of El Romeral, and two natural monuments: the Peña de los Enamorados and El Torcal mountainous formations, which are landmarks within the vicinity. Built during the Neolithic and Bronze Age out of large stone blocks, these monuments form chambers with lintelled roofs or false cupolas. These three tombs, buried beneath their original earth tumuli, are one of the most remarkable architectural works of European prehistory and one of the most important examples of European Megalithic. So what’s all the fuss about? For those familiar with the area the ‘Peña’ and the ‘Torcal’ together with the Dolmens have been part of the visual landscape and the local heritage for time immemorial. The most obvious benefit is of course tourism. One can easily imagine that this was one of the main reasons for applying for World Heritage Site status. Tourism in Andalusia is the second largest income source after agriculture. Most of this income comes from the coastal resorts and city destinations. So, to help develop the inland tourism sector; this recognition is of great importance. Hopefully this status will draw more and more visitors into the inland of Andalusia. Why? Because though the coast with its beaches, cities and art scene is a fantastic destination, it has to be said that the true richness of Andalusia, lies in the inland areas. Not just the typical ‘pueblos blancos’ but such monuments that have been the reason for such an award. The landscape itself, thousands of square kilometres of cultivated olive groves, almond groves and flatlands. Walks such as the ‘Caminito del Rey’, a more health and safety conscious version of the high level platform built above a gorge which formed part of a daredevils dream. Not to mention the cities such as Granada, Seville, and Cordoba to mention the most visited, but all those little villages and ‘aldeas’ in between. Last but not least is the culinary tradition which is born from the inland areas, those high-carb dishes such as Migas, Porra Antequerana, gazpacho, croquetas de puchero and Chivito to mention a few. All this makes visiting inland Andalusia a worthy addition or alternative to the coast. For a number of years the focus on developing transport networks in the inland area to counterbalance the decades of investment along the coast is starting to take shape. The high speed train line between Granada and Seville is planned to be completed towards the end of 2016 and the start of 2017 (the Granada – Antequera section at least). The recent completion two years ago of the A45 from Malaga to Cordoba and the toll road AP46 all have created a much more interconnected Andalusia. If you haven’t strayed from the coast it’s time to ‘hit the road Juan’.